Energy-efficient appliances, including HVAC systems, are an awesome way to reduce energy usage, cut costs on electricity bills, and work to save the environment. 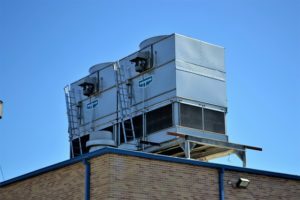 Upgrading your HVAC system to something greener and higher-efficiency might seem like an easy decision, but some consumers are scared off by the slightly-higher pricepoint. Energy-efficient appliances, including HVAC systems, are an awesome way to reduce energy usage, cut costs on electricity bills, and work to save the environment. The SEER is a tool used to rate the efficiency of an air conditioning unit. High-efficiency AC units have higher SEERs than standard units. The Environmental Protection Agency (EPA) required every air conditioner to have a SEER rating of 14 or higher, regardless of whether or not it was high-efficiency. For perspective, some modern units have SEER ratings of 30 and higher. As a rule of thumb, every single digit added to a SEER rating increases the cost of an AC unit. However, that also decreases the amount of energy needed to operate the unit. Heat pumps and air conditioners use different philosophies to deal with the heat. Heat pumps work by taking the heat out of a medium, like air, water, or the ground itself. Once it takes out that heat, it can be used to heat buildings or water or be put back into the ground to cool the area. Traditional air conditioning units work by taking heat from the inside and moving it outdoors. On average, heat pumps reduce energy used by up to 50%. Heat pumps also work very well as dehumidifiers for the summer. While it is less expensive to install a traditional air conditioner, heat pumps offer long-term value and continued savings. Most new high-efficiency HVAC models come equipped with a variety of other features designed to maximize your home comfort. Some systems use variable speed adjusters so that you can improve the efficiency of the unit while it runs. High-efficiency models also work better than traditional air conditioners at regulating humidity levels inside. These models are also designed to not fall into on-on-off cycling like normal AC, which saves electricity and reduces wear and tear on the unit. This entry was posted on Friday, July 20th, 2018 at 7:54 am. Both comments and pings are currently closed.